o Was it possibly a "replacement" block? But who buys a brand new block instead of re-using one from an old car? They weren't even making 2002's any more in 77, so is my block really from an early 320? And near the date code is "BMW EB" or maybe "BMW E8".. what does that mean? Other stamp is a round "clock" looking mark with what appears to be "123" "789" on the circumference. My 71 and 72 engines have the same "clock" and E8 or EB markings. Clock doesn't seem to reveal much. The 77 could indeed mean the block was cast in 1977. To me- it is either from E21 or replacement for 2002. Weird how there isn't a serial number but has the + at the end. a letter of an ancient Germanic alphabet, related to the Roman alphabet. a mark or letter of mysterious or magic significance. small stones, pieces of bone, etc., bearing runes, and used as divinatory symbols. "the casting of the runes"
I see an X at each end... not that that helps much. Probably a replacement engine, at one time BMW's price on a replacement engine was priced about the same as a rebuild and came with a factory warranty, so if you wanted a stock or Tii rebuild why not replace it with a factoty motor? So back to my other point... should I just consider my motor a '75 and order engine rebuild parts based on that or do I need to consider the block date and are there other considerations. Sorry for lots of questions but this threw me for a curve. I don't think you'll find many parts that had changed on the m10 between 1975 and 77 I don't think the very early 320i had even gone over to the single row timing chain yet (although I might be wrong on that) I would recommend tearing down the engine before buying parts for it just to see what you have. I view this as no huge deal. The possibilities have already been said and an appropriate approach has already been presented. The block was certainly cast on June 29, 1977 ("29 F 77"), and it is probably a replacement block. Factory-rebuilt long blocks seemed to consistently get some sort of identification, either on the "engine number boss" or on a narrow shelf at the rear of the block, just behind the head. If you've got neither, assume it was a new bare block, or short block, purchased some time after June 1977. Why a new block? Because sometimes engines failed and the old block was not repairable and/or the owner didn't want a rebuilt long block. "EB" is probably the name of the foundry, just as an "F" cast within a "C" on so many Ford parts announces the part was produced by Ford's Cleveland Foundry (photo below, at right). Agree with previous posters...those faintly visible X's on the pad that normally holds the engine number indicates a factory rebuilt or replacement engine. Original engine numbers had +'s preceding and following the numbers, while replacment engines had a series of letters and numbers. Search the board archives for an explanation of those factory rebuild numbers;someone did a very complete writeup on their decipherment. Even if it's from a 320, so long as the block is a 2 liter (vs 1.8) block parts should be the same--except for the cam--IIRC 320 camshafts (and thus distributors turned backwards from those on a 2002. If it's bored .25mm over, that's almost a guarantee- most go to .50 immediately, but BMW did not. dual- row and 'normal' rotation dizzy. My last 2002 had paperwork in the glove-box that indicated a factory replacement, that was dated 1987, was installed in the car. The engine was stamped with, IIRC, a 6 digit number with an X in it somewhere. The commonly-seen remanufactured engine identification system was implemented in 1978, per the attached Technical Reference Information (TRI) document. Updated versions of the TRI document were published at least in October 1985 and October 1990, as newer BMW models were produced and added to the TRI. The linked TRI is the October 1990 version and in the absence of subsequent versions of this TRI -- if they exist -- we are left wondering how long BMW continued to offer remanufactured '02 engines. We've certainly seen evidence of factory-remanufactured engines being sold or purchased into the late 1990's, but we don't know if these were "old stock", i.e., remanufactured in 1990 or earlier, or then-current stock, i.e., remanufactured after 1990, the date of this TRI. 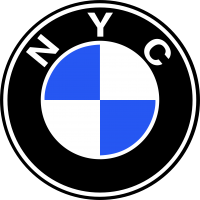 As to engines remanufactured by the factory prior to 1978 -- or some date within 1978, when the first version of the TRI was issued -- we have no documented guidance from BMW, so we're probably under different identification systems, which may include a "no identification" system. One additional caveat, the remanufactured engine part numbers listed in the TRI are strictly long blocks. There are no references to short blocks so we're still left wondering whether this or an analogous system even applied to short blocks. Here, once again, is that October 1990 version of the TRI. It's shifted into an Amazon Books version since it was originally linked to this forum by JohnH. I'd bet some smart forum member could figure out how we can make this more accessible.